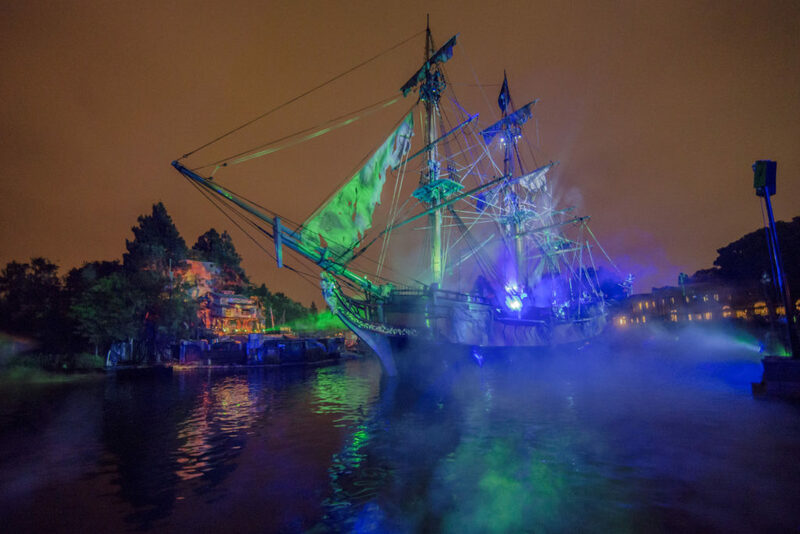 Home » Events » Fantasmic! Returns to Disneyland Resorts – Fun Facts, History, and More! Fantasmic! Returns to Disneyland Resorts – Fun Facts, History, and More! 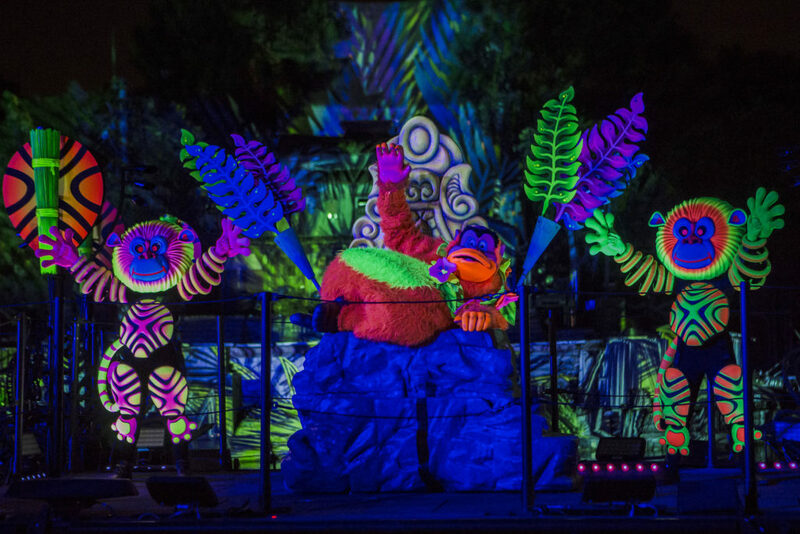 The “Fantasmic!” story that has been treasured by Disneyland guests for more than 25 years continues, as Mickey Mouse conjures dreams of beauty, adventure, romance and, in the show’s thrilling climax, danger. The return of “Fantasmic!” builds on that promise, taking the journey into Mickey Mouse’s imagination to brilliant new heights. New magic is incorporated with Aladdin and Jasmine floating over a bed of fog on their flying carpet, Captain Jack Sparrow at the helm of a ghostly pirate ship, and special new appearances by characters from “The Lion King” and “Finding Nemo.” And Rapunzel and Flynn Rider from “Tangled” join other Disney couples in an inspiring romantic sequence. We had the opportunity to experience “Fantasmic!” and all the magic around here are some of our favorite moments! We love learning everything we can about our favorite Disney Resorts entertainment and experiences. 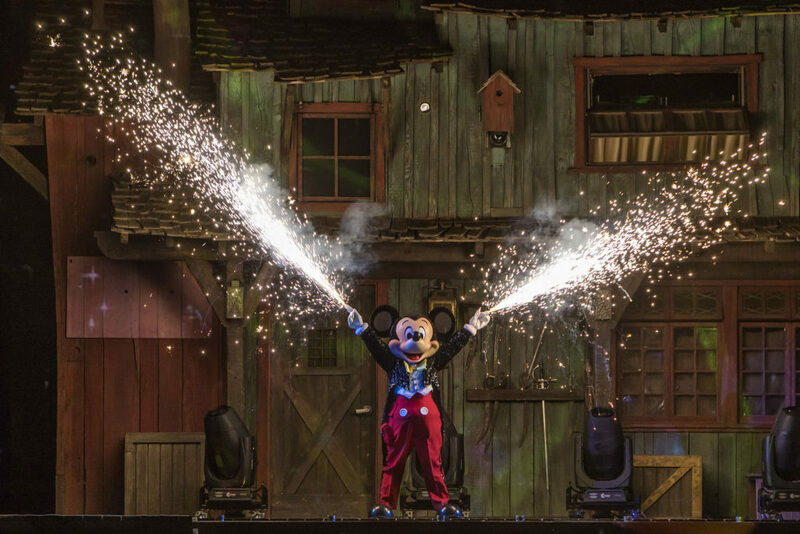 Here are some fun fact about “Fantasmic!” we absolutely adore! Central to the magic of “Fantasmic!” are the three mist screens, each 60 feet wide by 30 feet tall, upon which the films are projected. A crew of ghost pirates man an eerie pirate ship that appears on the Rivers of America. These professional stunt performers execute all the spectacular duels and falls. More than 100 cast and crew bring “Fantasmic!” to life, in the 23-minute show. 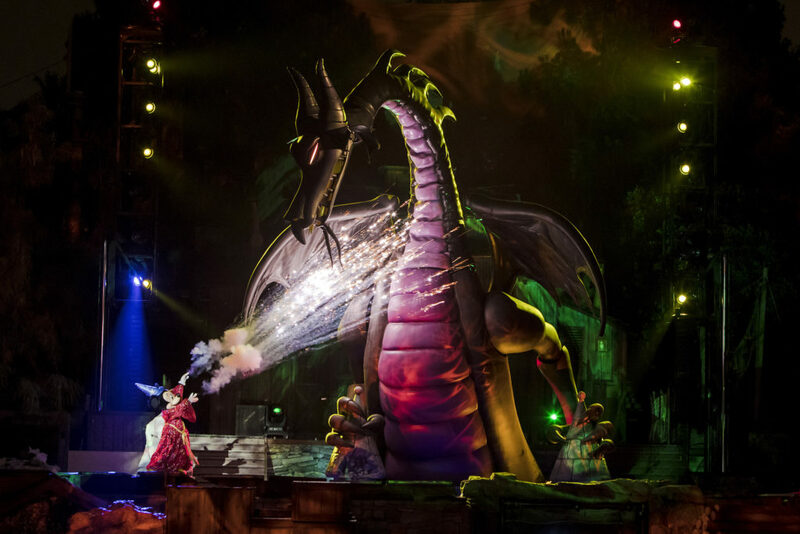 As part of the “Fantasmic!” story, the wicked Maleficent from “Sleeping Beauty” will rise to a height of 45 feet in 17 seconds, before transforming into the dragon. The dragon is a fully animated three-dimensional design that replicates the movements of the dragon in “Sleeping Beauty ” The dragon is 45 feet tall by 28 feet wide and weighs approximately 18,000 pounds. Approximately 9,000 guests can view “Fantasmic!” at each performance. The audience is approximately 70 feet from the main stage on Tom Sawyer Island. At the beginning of the show, two light towers appear on either side of the main stage. During the day, these towers rest 26 feet underground. They rise to a height of 40 feet in less than a minute. The audio surrounding “Fantasmic!” spectators is created by four speaker stacks on Tom Sawyer Island and three on the mainland. Kaa, the conniving snake from “The Jungle Book” who slithers across the “Fantasmic!” stage, is 100 feet long. “Fantasmic!” premiered to the public on May 15, 1992, at Disneyland. In 1992, the original estimate for the prospective audience size was 6,500. 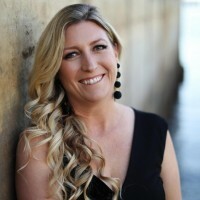 Spectators, however, found every space they could and the average number of guests per performance was 11,000 that first summer. Within days, the area was re-landscaped to accommodate more guests in the viewing areas. “Fantasmic!” was scheduled for three shows per night that year, and extended to four shows on July 4 and New Year’s Eve. Before summer 1993 arrived, the walkways and planters in New Orleans Square had been redesigned in the “terrace” style from which today’s guests view the show. An enhanced version of that original “Fantasmic” presentation, featuring digital projections and the spectacular new 45-foot-tall dragon, premiered June 12, 2009. The main stage on Tom Sawyer Island, including underground housing for many special effects, was specially built for “Fantasmic!” By day, it is a boat dock and “cider mill” visited by guests on the island. A different version of “Fantasmic!” premiered in October 1998 at Disney’s Hollywood Studios (then Disney-MGM Studios) at Walt Disney World Resort in Florida. Portions of the material for the Fantasmic! Returns to Disneyland Resorts has been provided courtesy of Disneyland Resorts. We attended this event as a guest of Disneyland Resorts.